Everyone knows Maria Hernandez Park in Bushwick. We love the lawn for its sunbathing spots, its sidewalks for the farmer's market, its corners where vendors sell horchata and mango slices... But, unless you were born and raised here, you probably don't know much about the history behind its name. On Tuesday August 8, 1989 Maria Hernandez was dressing for work in the early morning hours when five bullets were fired through her first floor apartment at 105 Starr Street. Maria’s husband, Carlos, jumped on top of their three-year-old son at the sound. But one bullet struck Maria in the temple. She fell to the floor. Maria and her husband were known in the community for their activism (and sometimes aggression) against drugs in their community. 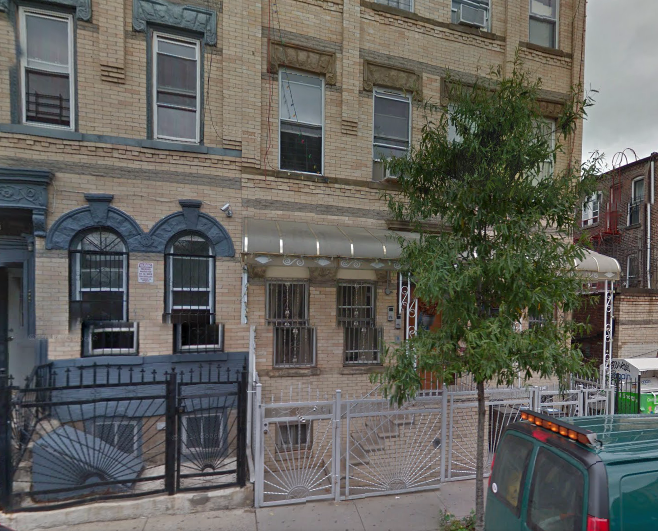 Before Bushwick was a middle class hipster mecca, it was a poverty-riddled Hispanic and Italian neighborhood. “It wasn’t like you see it now,” one woman told us, a long time resident and regular at Maria Hernandez Park. Heroin was the drug of choice. Its dealers ruled the streets and peddled it in the doorways of stores and in front of homes. Its addicts littered the sidewalks and swarmed around abandoned buildings. And Carlos and Maria Hernandez wanted it gone. They wanted their neighborhood clean and free from the violence that seemed to haunt the street outside their windows—if not for themselves, for their three children. Other residents wanted the dealers gone too. But while they applauded the Hernandez’s efforts, they were afraid to act themselves. They were afraid of retribution, of the same act of vengeance that later took Maria’s life. “You’re talking about turning people in who could do you in,” said a man identified only as Robert B. in a 1989 New York Times article. Some residents gave the same reason not to fight for which the Hernandezes deemed their activism necessary—their children. That’s not to say the Hernandezes were reckless with their children’s lives. Only a few weeks before she was shot, Maria had told a neighbor that she felt she lost the battle; that she wanted to move to the suburbs because she was afraid the dealers would come for her husband or her littlest one, 3-year-old Carlos Hernandez, Jr. Obviously it was too little, too late. Mr. Hernandez was more aggressive than Maria. Where Maria organized block parties and social gatherings to unite the community, Carlos was confrontational. Robert B. recalled that Mr. Hernandez tried to chase away three people dealing drugs near his home. They refused to leave. So Mr. Hernandez chased them and threw punches. They fled, but threatened to return and kill him. And that wasn’t the first time. Mr. Hernandez frequently got into brawls with dealers. And in return had been shot, stabbed and threatened with an Uzi submachine gun. Or rather, he was threatened by people he accused of being criminals. He and Maria had long thought their neighbors Raymond Gonzalez and Linda Jouet were criminals. A fight broke out after Maria accused Gonzalez of dealing drugs on her own doorstep. In the end Gonzalez had stabbed Carlos twice and threatened him with an Uzi. At first, Gonzalez was suspected to have hired someone to kill or scare Carlos out of revenge and that Maria was an unfortunate bystander. It was a plausible answer. Carlos was supposed to testify before a grand jury against Gonzalez the same day Maria was shot. He testified as scheduled. But Gonzalez wasn’t the only enemy they’d made. Another was William “Willie Bundles” Figueroa, a small-time drug dealer who lived out of a van nearby. Mr. Hernandez said he’d asked him multiple times to stop selling drugs in the area. He didn’t. The Hernandezes had aggravated so many neighbors, and received so many death threats, that a police car drove by their apartment every so often to keep an eye out. That Tuesday morning, they’d driven by just an hour earlier. So, as Maria was blow-drying her hair before her long commute to her job as a bookkeeper in New Jersey, William Figueroa drove by their apartment in a 1987 red Camaro with his accomplice Hector Santiago and fired the shot that took Maria’s life. She fell to the floor where her 15-year-old daughter Andrea Vasquez rushed to her side, cradled her head in her arms, wiped blood from her face and pleaded with her to stay alive. She died six hours later at Wyckoff Hospital. Her death reverberated not just through the city, but through the nation. Politicians leapt at the opportunity to associate themselves with Carlos Hernandez’s struggle and Maria’s martyrdom. The community led a three-mile memorial service through the streets of Bushwick where then New York Mayor, Ed Koch, praised their strength. 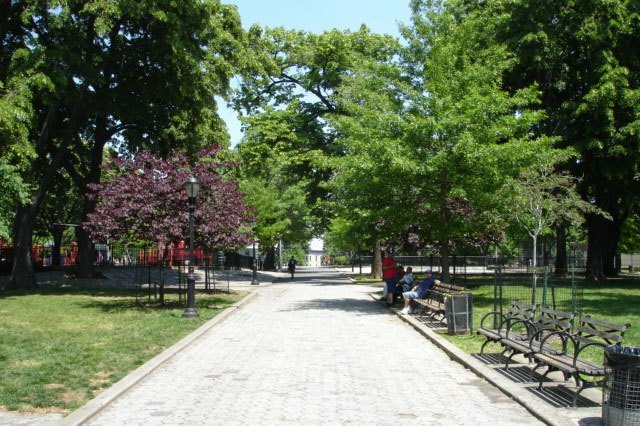 Before the year’s end the park formerly known as Bushwick Park was renamed Maria Hernandez to commemorate all that she had done for the community.